All this talk about statement lips lately has inspired me. And kind of made me sad. Humbled but not yet defeated, I told my troubles to makeup artist Amy Nadine, who works with basically everyone young and cool in LA (Lauren Conrad, Kate Bosworth, Rachel Bilson and Krysten Ritter among them) and also co-runs The Beauty Department. Here’s what she had to say. My Beauty Blitz co-editors look amazing in bright lip color, but every time I try, say, a hot pink or a bright coral it looks so, so wrong. Are there certain complexions that can't pull off a statement lip (or does it just take time to get used to one)? “Bright colors look great on all complexions! You're just not used to seeing yourself that way. Oops, I bought an almost-neon lipstick because I loved it in the tube, but now I hate how it looks on me. How can I tone it down? Tell me about a couple recent lip looks you've created for your clients. 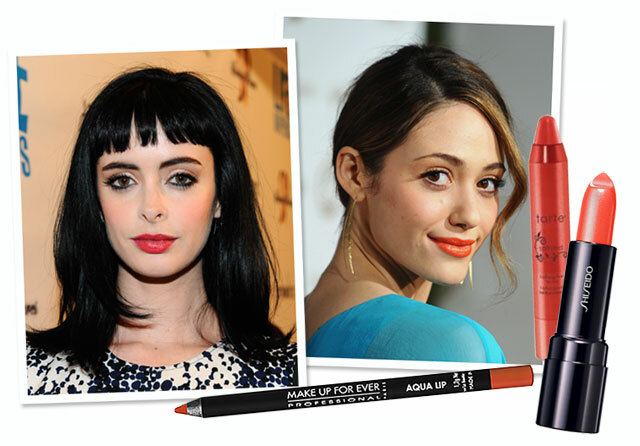 “Krysten Ritter wore [Tarte’s] Spirited to her Life Happens! premiere and the pop of orange on her lip matched her orange pump. I also did a bright orange on Emmy Rossum for a Vanity Fair party last month that popped beautifully." I guess I’ll give it one more shot. What about you? 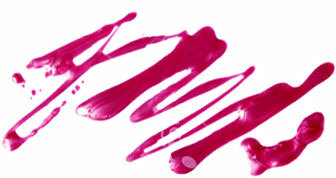 Any fellow lipstick-phobes out there? Confident statement lip wearers: got any tips for me?